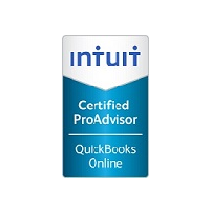 From personal income taxes to business entity tax planning and preparation, our expert team of professional CPAs, Quickbooks ProAdvisors, and Accountant’s can tailor services suited just for your needs. To client’s needs and concerns to gain a proper understanding of their situation. Solutions and recommendations to client issues identified. Deliverables, incorporating solutions and recommended course of action. Via client conferences to ensure results are understood. Final documents to your secure client portal and assist with ongoing questions and planning. We would love to get together with you! Write down as many questions, concerns, and goals that you have regarding your tax, accounting, bookkeeping and/or financial planning and let’s get together! We understand that a decision to move your tax and accounting services to a new accounting firm can be difficult and time consuming, so choosing the right CPA firm is very important. We think you’ll like our history and our track record. Utilizing QuickBooks to its full potential and adopting best practices in your bookkeeping routine requires experience. 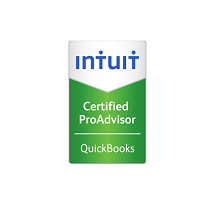 Our team of certified accountants, coupled with our knowledge gained through Certified QuickBooks ProAdvisor training, has equipped us to be a valuable asset to your enterprise. From setup, to workflow, to generating financial reporting to analyze the results of your hard work — we can help! Whether it’s a creditor, an investor or a shareholder that needs involvement from a CPA regarding the company’s financial statements, our team is here to handle those requests. We have experience with both review engagements and compilation engagements, and we can help you throughout every step of the process. Give us a call to learn more. Are you buying or selling a business? The process can be overwhelming; from negotiating terms to determining tax implications to reviewing agreements and documents, it can be a difficult task to take on alone. At O’Dell & Company, we have advised, negotiated, and consulted on numerous transactions throughout our history. We have seen good deals and bad deals, deal-makers and deal-breakers. No matter the case, it’s important to get the right advice upfront so that you can achieve your goals without unwanted surprises. Our local CPA firm can help. Solid business tax planning keeps you informed of where you are ahead of time, reduces anxiety about an unknown tax liability and ultimately produces the optimal tax result. For ideal results, planning must be done ahead of a transaction or prior to year-end. We utilize industry leading software that allows us to compare multiple scenarios so that you have the information necessary to make tax-saving decisions. What drives your business expenditure decisions? Do you have a plan in place to maximize growth and achieve earnings targets? We can provide you with the tools to produce real-time, always updated, budget-to-actual feedback. Accountability is the biggest element to staying within your budget and making decisions based on relevant and reliable information. Our process will produce the results you’re looking for. In a complicated business world, applying creative solutions to difficult problems can produce real value. We provide this value to our clients on a daily basis through our business consulting services. Choosing the wrong entity for your business venture can result in substantial tax inefficiencies, unexpected challenges, and/or catastrophic results. We study the pros and cons of all entity types and recommend the best choice to your situation. Quickbooks is great accounting software, but sometimes having real-time guidance and collaboration with your local CPA firm is a must! Our technology partner, Cloud9 Realtime, provides and professionally maintains our private cloud where we can securely host your Quickbooks database and provide you with the full Premier Desktop version accessible from anywhere at anytime. This technology allows us to collaborate, advise and become your accounting department on any scale you desire. Our individual tax practice is tailored to taxpayers with more complex situations. From business income to investments, real estate income to multi-state jurisdictions—we can help you with it all. Year over year the tax laws continue to evolve, and we stay current through our commitment to continuing education. We analyze our client’s situations, develop solutions, communicate results and deliver our work in a secure portal where information is accessible 24/7. We specialize in tax planning and tax return preparation for S-Corporations, C-Corporations and Partnership entities (LLCs, LLPs, etc.). Business owners are faced with increasingly complex and confusing tax laws to comply with while striving to minimize their tax liabilities. We understand. We navigate this difficult environment for our clients to file legally compliant returns that produce the lowest allowable tax results. Local Fort Collins CPA Services. Nationwide Results. At O’Dell & Company, we are committed to finding solutions and getting results for our clients. Whether you’re a local business owner in Fort Collins or an aspiring entrepreneur across the country, we want to provide the tools and resources you need to succeed. Contact our Fort Collins CPA firm today.